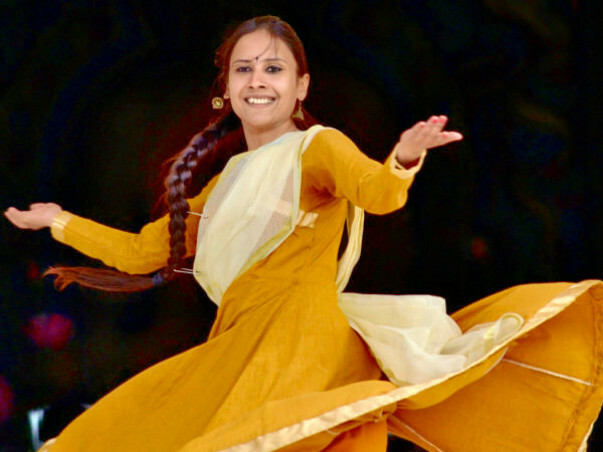 Support 'Anubhūti'- Inculcating lifeskills among girls through Kathak! 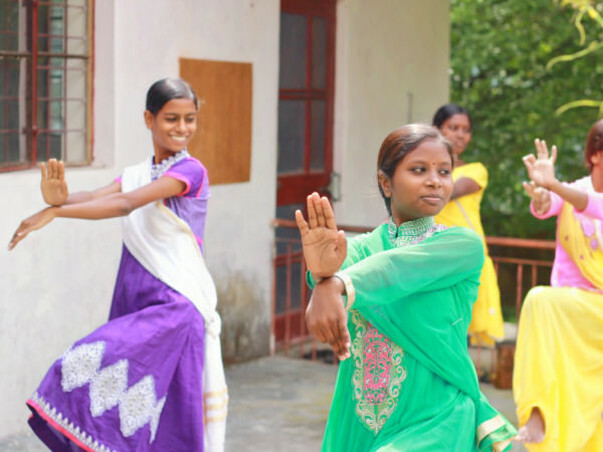 'Anubhūti'- An initiative that uses Kathak (Indian Classical Dance Form) as a medium to inculcate life-skills among under-served girls in remote rural communities and in urban slums. 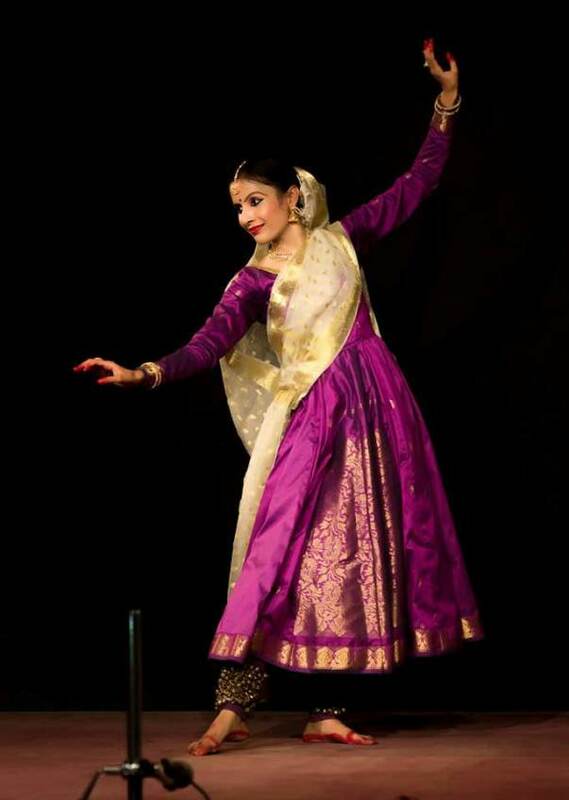 I am Annu Gupta, an avid Kathak Performer based out of New Delhi. I have learned and taught this art form for last nine years now. I have learned from the most renowned Gurus in India and have also performed at the most reputed platforms across the country, including the Rashtrapati Bhawan in New Delhi. In the beginning of my career, for first five years, I had served as a commercial trainer to pass on the art of Kathak to the people of Delhi. Eventually, with rare opportunities coming my way, I found myself conducting workshops for under-served girls belonging to socially-ignored communities of Bihar and Himachal Pradesh. The experience of working with these girls was life-changing for me, which ended up making me more grateful and humble for the skills and opportunities that I have been blessed with. After this soul-stirring journey of last two years working with girls who are full of dreams but with little opportunities, I have now decided to dedicate my full time in traveling to the remote places of the country and serving the under-served while working in collaboration with various organizations already present on the field. 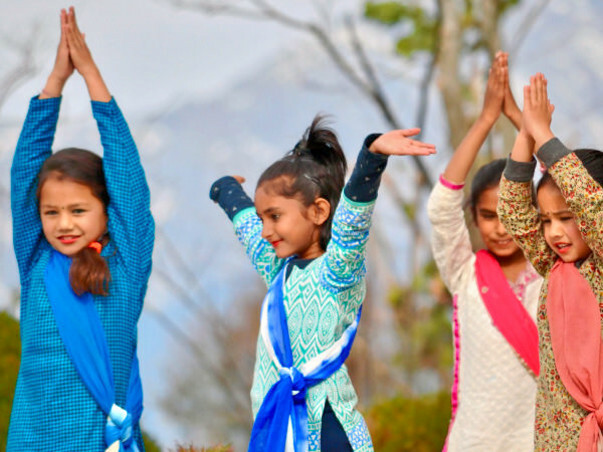 My intention is to spend about 20-30 days each organizing workshops that use Kathak as a medium to boost confidence levels, and life-skills, of these girls so that they can a chance to prepare themselves better for life. Throughout next one year, starting from April 2018 till March 2019, I intend to organize about 8 such workshops while collaborating with organizations (mostly NGOs) working in villages or slums across the country, thereby impacting a total of 400 girls in the whole process (8 workshops per year. 2 batches per workshop. 25 participants per batch. 2 hours per day per batch). Coming to finance, I completely understand that neither the girls that I wish to work with nor the organizations that I intend to collaborate with would be able to support my entire travel, accommodation and facilitation charges. Yet, moving ahead with this understanding, I have decided to take a leap of faith, trusting that the universe shall support me in my pursuit with its invisible hands. My launching of this fundraiser and letting the world know of my intentions is the first step towards fulfilling my purpose. In this fundraiser, you shall not only find glimpses of my previous work, in the form of photographs or videos, but you shall also get to know about the organizations that I have already collaborated with for the workshops for next year. As I am still in the middle of finalizing collaborations, you can choose to support me in two ways- one, by contributing your share of love in the form of financial capital for this initiative, and two, by connecting me with appropriate organizations that may be interested to invite me over to conduct this workshop for their kids (anywhere through the country, in villages or in slums). In the end, I only wish to add that no contribution is small in front of the cause that will be served through your contribution, and it will make a huge difference in the lives of hundreds of girls who shall get a chance to inculcate the essential life-skills, which will enable them to lead their lives with confidence and dignity thereby giving them equal opportunities to prove their acumen in a patriarchal society. 1. How do you select the organizations for collaboration? The organization should have a track record of working with under-served girls/kids in its region. The organization should have a proper accommodation facility for conducting the workshop. The organization should have a good reputation with its local community from where the girls would be coming. 2. Can you name the organizations you have worked with so far? I have worked multiple times with girls of Nari Gunjan (a non-profit organization working for the Dalit girls and women in Bihar) and once with the girls of Kranti (an NGO that empowers Girls from Red-light Areas in Mumbai) and the girls of Happy Feet Home (an NGO that serves kids with terminal illnesses in Mumbai). 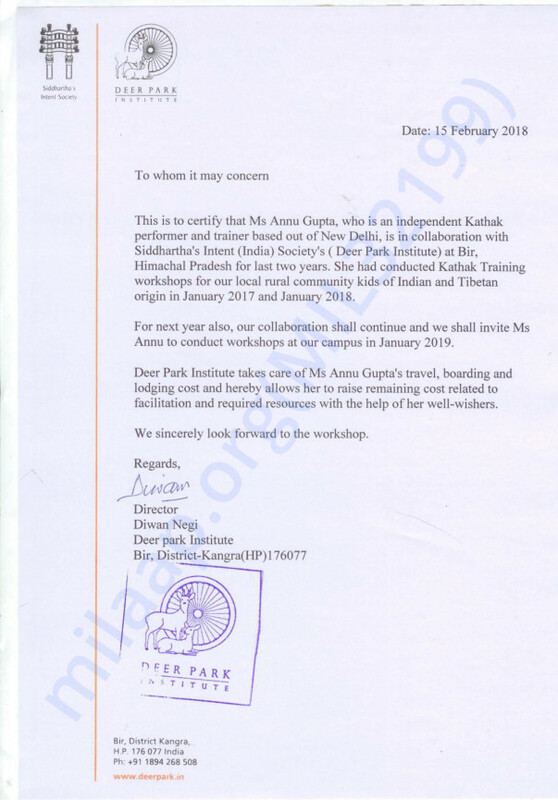 I am also in collaboration with Deer Park Institute in Bir, Himachal Pradesh for past two years to work with its local community kids of Indian and Tibetan origin. 3. 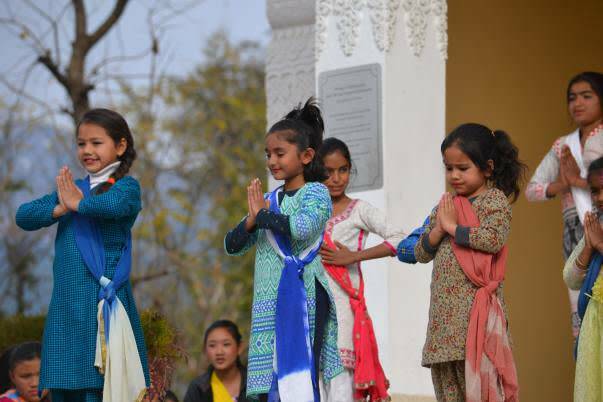 Is this initiative only for girls, what if boys also wish to learn Kathak? Sure. I always open the workshops for boys and at times they do participate. But I am primarily talking about girls as they have usually been high in numbers during my previous workshops. 4. What is the age criterion for your workshop participants? I usually work with girls/kids of 8-16 years of age. 5. How does a session of your workshop look like? 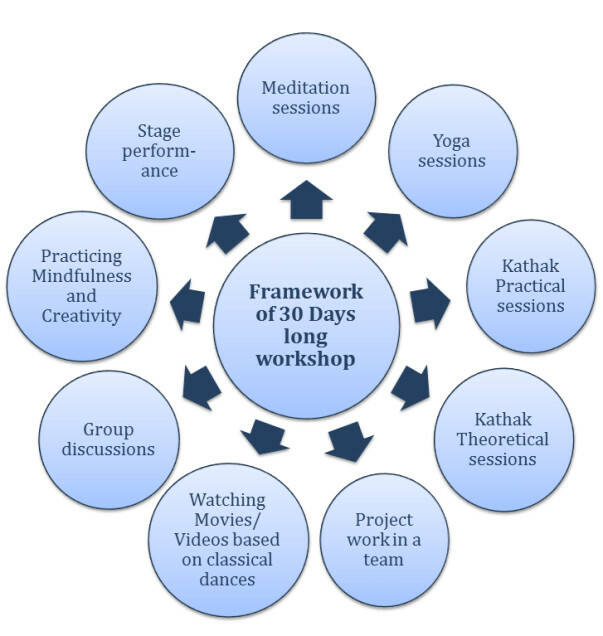 A two hour long session for 25 participants consists of Yoga, Meditation and Kathak Dance. The training is imparted in its pure form while keeping the classicalism of Kathak Dance intact. 6. How will you use the raised amount through this fundraiser? This fundraiser asks for support to cover costs related to workshop travel, required resources such as Ghunghroos, facilitation charges and stage performance charges [Rs 50,000 per workshop. 8 workshops in a year]. My living cost during the workshops (Accommodation + Food) shall be taken care of by the invitee organizations. 7. What if you are not able to raise the required amount? I will still continue with this initiative, with a hope that the Universe shall support me as I continue serving. 8. How do you assess the impact of your workshops? I make it compulsory for workshop participants to deliver a stage performance on 30th day of the workshop to a larger audience that includes their parents and local community members. This stage performance not only helps me to evaluate myself but it also helps the girls to improve their event management skills as they themselves organize this whole event. 9. Is there any possibility for your well-wishers to join your workshop/stage performance? I am not sure about the workshop, as I wish to keep all the spaces for community girls. However, I would definitely love to have my well-wishers as an audience for girls’ stage performance. 10. How does a stage performance at the end of your workshop look like? 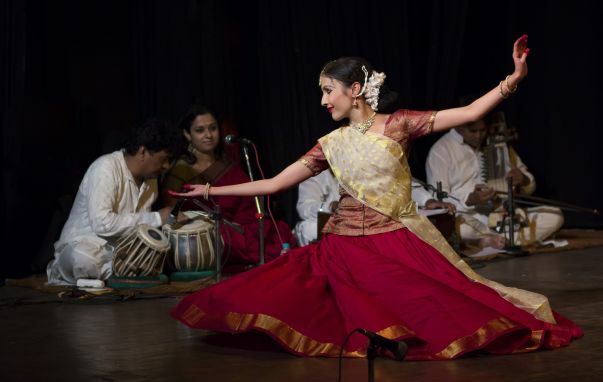 The stage performance starts with a live Kathak performance given by workshop participants followed by a performance that I give so as to deepen audience’s understanding of Kathak further. In the end, the workshop participants share about their workshop experience, the organization-in-collaboration shares about its experience of hosting the workshop, audience shares about its experience of witnessing the performances and I share about my experience of working with girls. The participants also receive certificates for their participation in the entire workshop. It is usually a two hour long event that is mostly organized by the girls themselves. 11. How will you communicate about the progress of your workshops? I will document all my workshops and share about the on-goings, photographs and videos once in every fifteen days with my well-wishers through my facebook page www.facebook.com/kathakanubhuti and through my website www.annu-kathak.webs.com. I will also produce two formal newsletters by September, 2018 and March, 2019 respectively. 12. How can I be sure that you are really going to conduct these workshops? That’s what the official letters of collaboration on this fundraiser are for. In addition to these letters, I can also provide you contact details of the on-field organizations (kindly request through a message on my facebook page). You can simply call them and get to know about the workshops that I have already conducted or I intend to conduct at their place. 'Anubhūti', which means to experience something in an intense way, is the name of this initiative in which I will conduct 8 workshops of one month duration each with under-served girls of remote rural communities or urban slum so as to improve their life-skills such as Self-confidence, Creativity, Imagination, Leadership, Team work etc by using Kathak as a medium. Official Letter of Collaboration with Deer Park Institute, Bir, H.P. 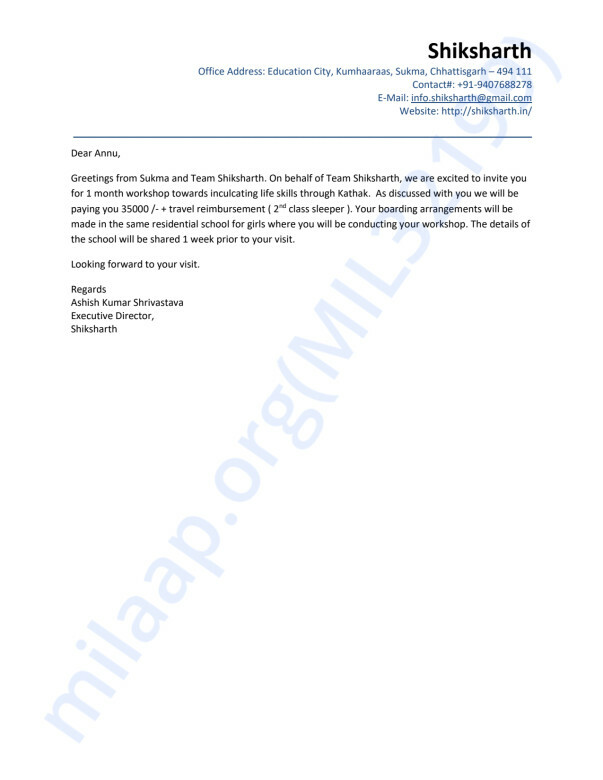 Official Letter of Collaboration with Bharat Calling, Itarsi, M.P. And I experienced the same, it was a warm welcome by Ashram’s volunteers and I was feeling so comfortable among those people. I was excited to meet the girls in the evening. I started receiving their love from the day one onwards. It was so heartwarming to see all those girls (who belongs to a most vulnerable background) learning and exploring this beautiful classical dance form Kathak with so much sincerity and passion. They all were quite nervous and excited at the same time to learn it. I found this a very beautiful expression of unconditional love which I was getting from these girls who were initially a little scared from me as one day they shared with me that “Didi, when you first came here we were thinking that you would be very strict in teaching, but you were not. You behaved like an elder sister and a friend to us.” I was staying with them in their hostel only, so other girls who were not a part of the workshop were also becoming a part of my journey in the Ashram. There was another experience which touched my heart. I was having problem in sleeping at night because there was a big tube light just outside my room which disturbed me throughout the night as I need my room to be dark to be able to sleep and I couldn’t switched it off because the washroom and the stairs were close by and it was being used by the girls living upstairs. I discussed it with the hostel staff but it did not help. One day, a girl named Nikita came to my room and we talked around for half an hour, and while leaving she asked me with concern “didi, आपको कोई problem तो नहीं हो रही इधर?” I said very casually “हाँ यार, हो तो रही है, ये बाहर वाली light मुझे रात को सोने नहीं देती। इसका कुछ कर दो।” She replied “Hmmm.. okay didi, मैं ऊपर सबको बोल देती हूँ।” and she left. That night onwards I did not face any problem with the light outside as the girls had taken the responsibility कि जब भी कोई लड़की नीचे washroom use करने आएगी वह लाइट्सon करेगी और जाते वक़्त लाइट बंद करते हुए चली जाएगी। It was so overwhelming for me to see those girls taking efforts for my comfort. Nikita took lead in that and other girls supported in the best manner possible. On the concluding day of the workshop, we all were in teary eyes and they were asking me to promise that I would pick up their phone calls whenever they call specially during their festival of उत्तरायण. In a nutshell, I experienced a complete flow of love and care from everyone present there during my stay at Gandhi Ashram. Self confidence, leadership, team work, discipline and other soft skills were planted in them as a seed through the traditional classical dance form Kathak; I was able to see that they were becoming more open in sharing and speaking in front of their 200 peers and hostel staff. Moreover, they have nurtured the seed of Love and compassion in my heart!.. Please watch this journey ​HERE​​​. Sharing two more journeys of Anubhuti's with you all. One is from Itarsi, Madhya Pradesh which was held in the collaboration with 'Bharat Calling' in the month of September. We did an experiment this time and opened the space for all age groups where we worked mostly with the girls who belongs to a rural background from manual labor families. Kindly CLICK HERE to see the journey of Itarsi girls with Anubhuti. Another one is just completed in Ganaur, Haryana in collaboration with Umang Pathshala with the 'Dacot Community'. Children of this community are helping hand for the family; they use to beg for oil on Tuesdays and Saturdays. Please SEE HERE our journey and reflections. I hope everything is great at your end. Writing you all today after a very long time. 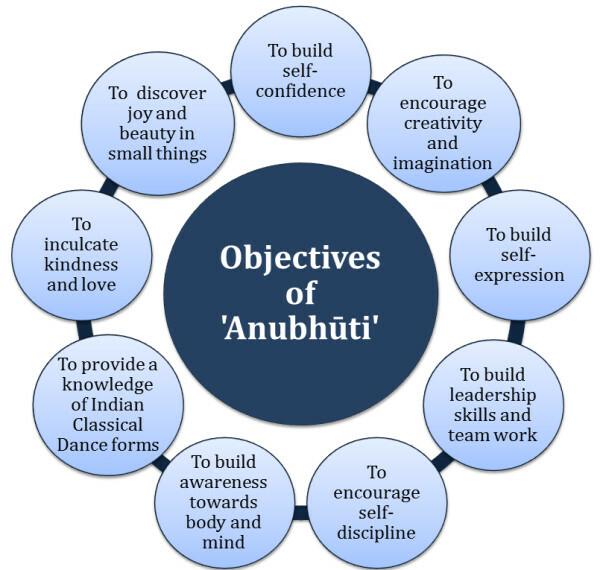 I wanted to share my 'Anubhuti' journey with you all. I have successfully completed 2 more month long workshops after the Assam workshop and the experience of working with the kids was beautiful indeed and sometimes challenging too. The first was held in Sukma, Chhattisgarh (a zone highly affected by naxalite) in collaboration with 'Shiksharth' between July-August. The kids I worked with there were the tribal girls and first generation learner. The kids were so shy, they do not talk to any unfamiliar person, they hesitate even to listen to that person, even if one cracks a joke the kids doesn't respond or they would not know how they can possibly respond; the only words that they know to give a response is either a ‘yes’ or a ‘no’. They live in a place where it is usual for children to witness violence whether its within their family or community, or between naxalites and police authorities, where children are not taught to resist or question anything that they are given, where they mostly live in a state of fear. This is such a deep and ingenious way to help the underprivileged. I'm glad someone is doing this. I hope others contribute to this effort as well.